Our management committee member Hyab Yohannes writes how the government policies which keep people in a state of ‘rightlessness’ represent the political outrage and moral regression of our time. Growing up in Eritrea, I felt privileged to be surrounded by my parents and siblings because I had many friends who lost their parents or/and siblings to successive wars. But this was only for a short period. As I reached secondary level education, I began to worry for myself. At the age of seventeen, I went to Sawa – a military camp and the only place to sit for the national exam – to complete a mandatory military training before sitting for a national exam for the completion of secondary school. In Sawa, my worries turned to real challenges. For over a year, I along with other students were subjected to extreme conditions of physical punishment and psychological depression. In the following six years, I passed the national exam, started an undergraduate degree and graduated with a BA degree in Geography at the Eritrean Institute of Technology. Nevertheless, graduating in Eritrea meant that I was ready to work indefinitely for the government for free. I therefore was recruited for indefinite national service immediately after my graduation. I was not against serving for my country for some time, but to remain in servitude indefinitely is egregious. The system requires its recruits to surrender their rights, their careers, their life goals and themselves. Members of national service are reduced to what psychologists Alex Haslam and Steve Reicher call an ‘agentic state’ in which subjects are required to ‘suspend their own judgement and cede responsibility for their actions to those in charge’ . For this reason, I had to be cautious of everything I did or said. Yet the threats never disappear even if I surrender to the government’s plans; they become even more frightening and widespread. This made me realise that I was living in an established ‘carceral system’, which had an overbearing impact on my life. My right to remain in my home country, with my family and loved ones, was threatened, and so was my right to a dignified life. Thus, I had to leave my home country. Leaving my family forever was heart-breaking, but the alternative of remaining in the repressive state was unbearable. Explaining the calamity that refugees face, philosopher Hannah Arendt argues that ‘a condition of complete rightlessness was created before the right to live was challenged’. The relevance of Arendt’s assertion in understanding the plight of Eritreans is paramount. It is the condition of ‘rightlessness’ that Arendt describes that drives Eritrean refugees out of their country. Life in exile is equally full of nightmares. In fact, refugees are either stranded in hotspots and unbearable refugee camps or risk their lives trying to cross the Mediterranean Sea. These spaces and borders are designed to contain them outside of the political community – outside of the scope of the law – in a realm of exceptionality. According to the philosopher Giorgio Agamben, in these spaces or elsewhere, refugees are transformed to what he calls ‘bare life’ – a form of life that can be killed without committing homicide. The relevance of Agamben’s political theory resonates when one looks at the thousands of migrants vanishing in treacherous waters and others suffering in realms of extralegality. The title of this piece sums up the experience of Eritrean refugees in a short and succinct way. The two phrases are from the last text message I received from a childhood friend a few weeks before he perished forever. I do not know where exactly he was at that moment, but I knew that he was in Libya hoping to cross the Mediterranean Sea to Europe. Immediately after the text message, I tried to reach him on his number. I rang him again, and again without success. After a week of trying and crying, I decided to wait him to call me back. But I also had to prepare myself for unpleasant reality: he might not call again at all. Two weeks later, the latter become a hard reality. I learned that he sank off the Italian island of Lampedusa on October 3, 2013. He was not alone: more than 360 migrants died in that single incident. At the time, I remember counting more than a dozen relatives and friends that I knew died in the incident. It was one of the worst seasons of obituaries for the victims’ families and friends. Arendt, again, writes about a ‘right to have rights’ – a right to belong to a community and be part of it. For Arendt, the denial of the right to have rights has relegated refugees to a status of ‘the scum of the earth’. The text message from my friend reflects this. He had no rights in his country of citizenship, nor did he save his life elsewhere. He perished without leaving a trace, but his parents and those who know his beautiful soul will forever live with the pain of his loss. Yet, the plight of the Eritrean is more than a tragic story of one person. It is ‘systematic and widespread’, as the Commission of Inquiry on human rights in Eritrea argues. Personally, it was not the first time that I learned about such tragedies. Unlike my childhood friend or the other victims, I survived my own ordeal. I escaped human trafficking and lived in Cairo when these heartbreaks were ongoing. While living and working in Cairo as a refugee, I heard stories of dead bodies emptied of organs and abandoned in an open air. I came across young women whose fingers and breasts had been chopped off by human traffickers. I witnessed dead bodies floating in Mediterranean coast where tourists swim during the summer. I heard stories of despicable acts of sexual abuse and torture. These are some of the lived experiences of many Eritrean refugees recruited in the Sinai trafficking or/and smuggled across the Mediterranean Sea. Their existence – their lives – are not only threatened but are effectively dismayed with impunity. I came to the UK in October 2015 under the UK Gateway Protection Program. Now that I am in a relatively safe place, I am hunting down my own stolen dreams. In the past three years, I studied an MA degree at SOAS University of London and now pursue a PhD studies at University of Glasgow. Along with my studies, I also volunteer for Right to Remain as a member of the management committee. Working in the UK, I realised that Agamben’s characterisation of the refugee as a ‘bare life’ remains true at least for some migrants. I came across irregular migrants stranded in spaces of illegality and extralegality. While refused asylum seekers wait for years appealing against a refusal of the right to remain, others exhaust their appeal rights and become rightless. The former groups are potential candidates for deportation and detention, but the latter categories are subjects of unconditional removal. These practices represent the political outrage and moral regression of our time. Their correction takes political ingenuity and moral magnanimity. This, for me, is what Right to Remain fights for. I believe the right to remain has universal human rights elements. 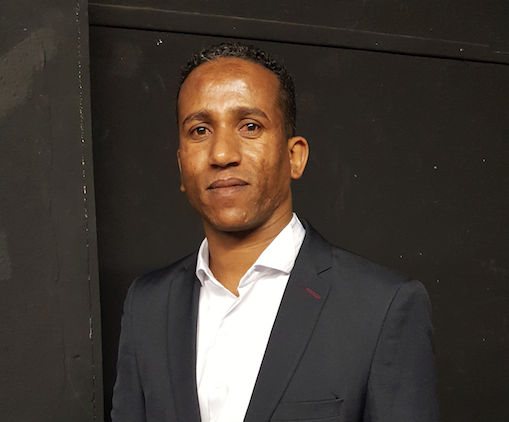 Hyab is an Eritrean refugee in the UK, recently completed an MA in Migration and Diaspora Studies at SOAS University of London, and has worked as an Education and Employment Adviser for a charity based in Leeds. Hyab in his career engaged extensively with refugees and asylum seekers at different positions ranging from community facilitation to casework and community organising in Sudan, in Egypt, and in the UK. Having a first-hand experience of human trafficking, Hyab has a research interest in refugee trafficking (which he wrote his MA dissertation on) and the ambivalent position of ‘the refugee’ as ‘unprotected’ figure.